Will the new influx of six song records be a hit or miss in Music City? The Six Pack EP | Innovation or Gimmick? In 2010, record companies in country music have pulled out all the stops to sell recorded music. An experiment the labels in Nashville are trying is the six pack – a six song collection sold for five or six bucks. It seems like a good concept on the surface. Labels are always looking for ways to release products that large audiences are willing to pay for with their hard-earned cash. For about 70 or so years this was a relatively easy task. Today, selling music recordings is difficult. Safe a few superstar musicians that are selling millions due to the success of their music and how it connects to a large audience, the recorded music industry is suffering. 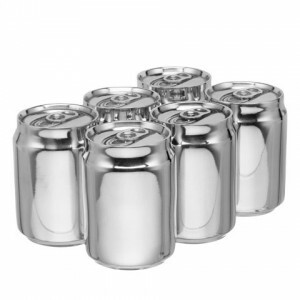 One of the experiments record labels are trying in an attempt to save their livelihood is the six pack EP. Before we get into the six pack discussion let’s take a short look at the formats music has been released on in the past. A single is the release of one more more songs (usually one or two). Singles are typically released for promotional reasons. An extended play recording is a release of a collection of more music than a single, but less than an full-length album. There are usually 4-6 songs released on an EP. A long-playing recording is a full length album that usually contains at least seven songs and with the increase in the capabilities of the compact disc, LPs have had over 20 songs on a single collection. Since the recent downturn in the economy there has been a tendency of American consumers to cut back on their discretionary spending. This new behavior has hit most consumer product industries including the recording industry. By shortening the length of the releases, record labels are able to offer a product at a price customers are more comfortable spending on recorded music from their favorite artist. Another advantage to the six pack format is that it allows record labels to release the same number of singles for an individual artist in a year, but to release more songs in total. Typically there are 3 singles released by an artist in one year. These singles have typically been released on an LP that features 10-12 songs. And LPs have typically been released every 1.5 to 2 years. Now, labels can release 3 singles each year along with 3 separate six pack EPs. If the labels can find an audience for the six pack format they’ll have a way to release 16 songs each year while potentially earning more money by releasing more songs. Side note: The quality of the songs will still play a major role. One amazing song can sell millions of copies while 16 mediocre songs could sell a few thousand. In 2010, there is a sudden increase in the number of six pack albums being released. 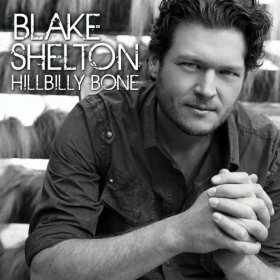 I believe Blake Shelton and his label are one of the first collaborations to heavily promote the new collection with Shelton’s Hillbilly Bone. There are now more of these collections on tap for future releases from Jo Dee Messina, John Rich, and independent label owner, Tracy Lawrence. Shelton’s Hillbilly Bone release is seemingly successful in financial terms. The album had a huge number one hit single of the same name to propel the album to the top of the charts while selling hundreds of thousands of copies. Now Shelton has released a new single All About Tonight and it appears this is the first (and only) single off of the next six pack EP. Now, don’t get me wrong, I love all of these artists and I love listening to their recorded music and their live shows. Tracy Lawrence has been one of my favorites and I look forward to him releasing new music whenever he pus something out. I applaud these artists and labels for experimenting, but I’m afraid the effort may be misplaced. For the past century, the business model for releasing album to the consuming public has been physical and most recently digital recordings. The artist/label relationship was necessary (sometimes a necessary evil for artists). Labels were willing to invest money up front to grow an artist’s brand with the potential profits likely gained from selling highly profitable physical music recordings. Artists have historically made little to no money from album sales – directly. Despite not seeing much, if any, money from selling recordings, it was to the artist’s advantage for the label to sell millions of albums since this meant there were millions of people willing to pay to see the artist’s live show. In most recording contracts, artists have been given a small percentage royalty for selling their own recordings. These royalties were often used to pay back the label for its investment in recording the music – studio time, production, possibly writing, etc. Even if an artist were to have an album sell one million copies there was little money relatively given to the artist. And for bands, any money seen from royalties would have to be split for each member. For more on the business model for labels and artists see Billboard’s 2010 Money Makers List. With the ’90s came the ability to record music digitally. Along with the ability of digital music came the ability for consumers to copy and share music in unlimited quantities at little to zero cost. The labels tried to stop this trend as much as they could. Labels used the force of government to try to save their monopoly on recorded music. However, despite the attempts of the recording industry there will likely be no stopping the spread of recorded music to millions of fans, digitally, and free as the years go by. Physical music recordings will have a much smaller role in the future. Record labels will go by the wayside in their current form. The same executives with an eye for music talent will still find they are needed as they will be able to provide the stars of tomorrow to investors. Yearning musicians will be looking to sign growth deals with investors while potentially giving up a portion of future earnings from live show ticket sales, merchandise sales, and sales of other items that are not copyable. Digital music will likely be released on Websites – free – so fans can stream, download and share copies at will. The audience that builds around each song and artist will create demand for that which cannot be copied: live performances, merchandise, etc. Investors will work with artist managers, marketing firms, and other business savvy folks to build the following for the artist. The investor will share in the profits with the artists as more money is made from everything except recorded music. The future of the music business model will see an embracing of digital music and the increase in focus giving to that which is not copyable – the live performance. Artists and labels (promotional teams) will continue working together to get the music out to a large audience so the artist can increase the attendance at live shows. The sooner this model is embraced and refined, the better off artists and fans will be. In this world those that don’t change and adapt to the changing world are left behind yearning for the days when they were relevant. In my view, the six pack album is a short-term fix for the record labels. The six pack album business model will likely lead to a slight increase in recorded music sales, but the writing is on the wall for those stuck in old music business model. The new music business model will see artists and labels focusing on that which is not copyable – the live performance. I see it at a promotional tool that will possibly be successful in selling more physical and digital recordings in the short-term, but fans will still want only the songs they enjoy. Copyable, digital music recordings that are available for free will be the preferred format for these fans. So what are your thoughts on six pack albums? Yes. This is part of the model for CML. I recognize this fact and part of the growing model of CML is to find merchandise readers want and sell it to them as a trusted brand in country music. This merchandise will likely be hard goods, possibly digital goods, concert tickets, etc. It’s an evolving model and the understanding is that selling recorded music is not sustainable. Don’t Miss Blake Shelton in your Town – Buy Tickets!